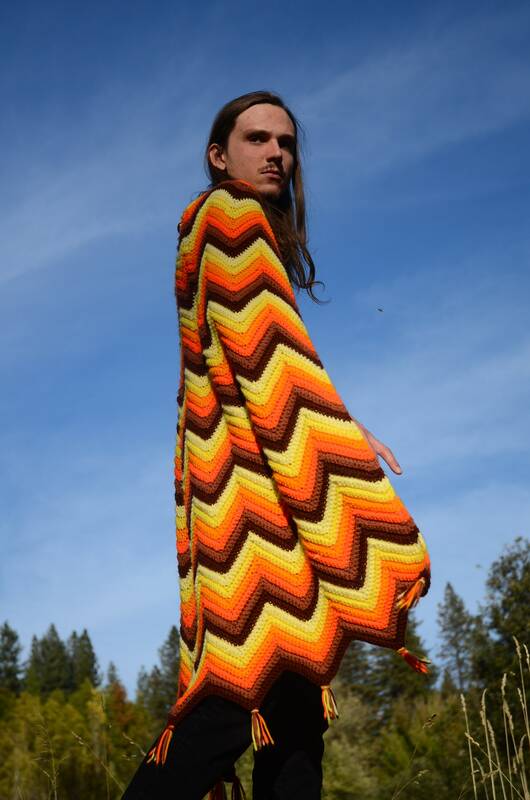 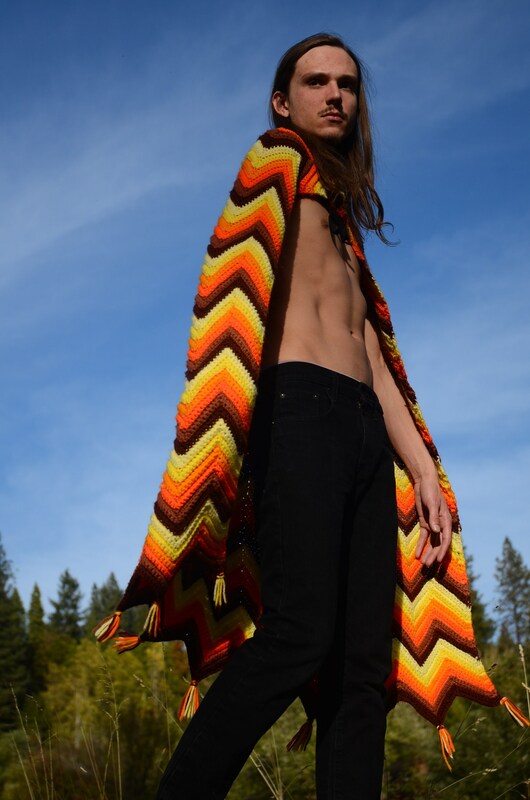 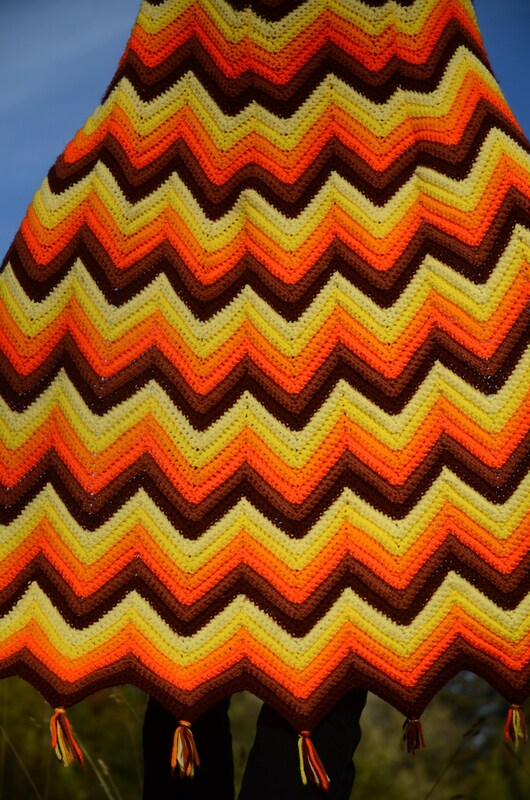 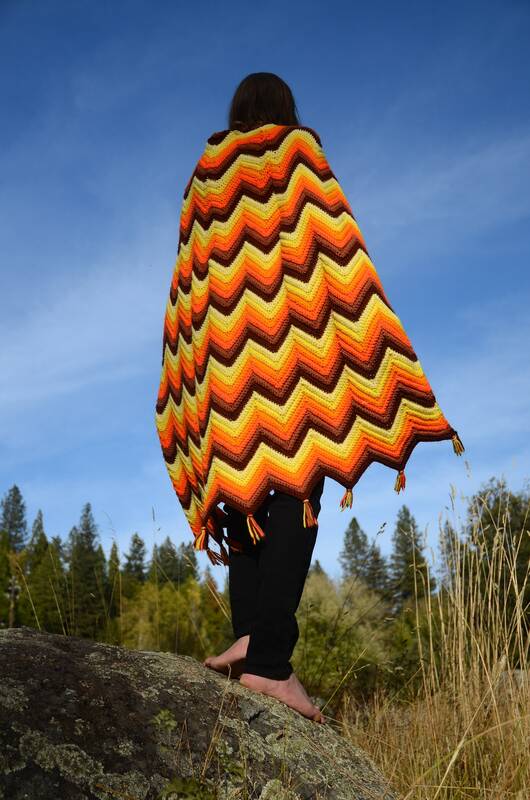 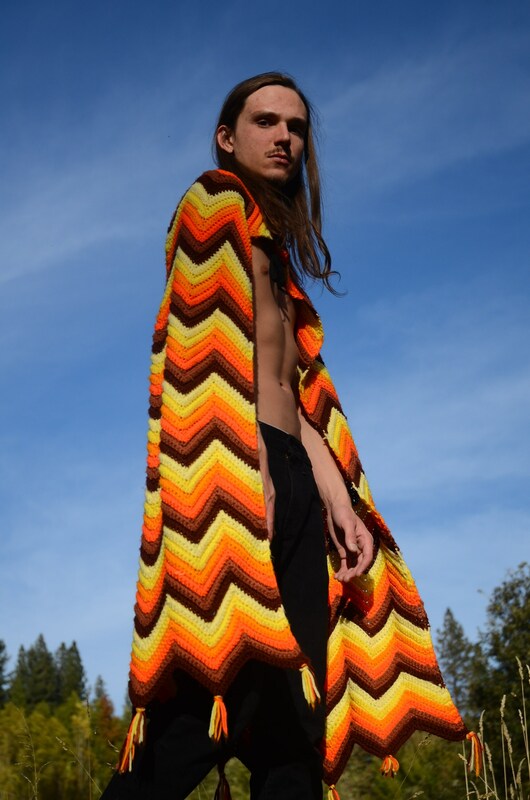 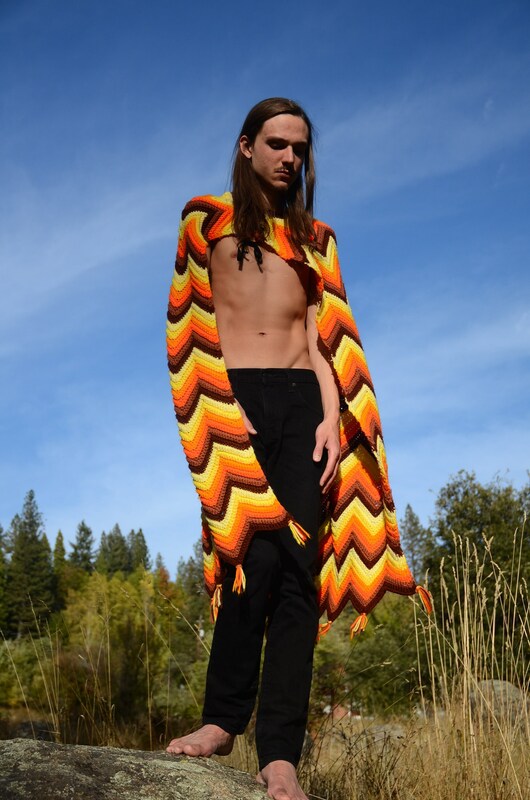 This is a crochet cape with vibrant orange zigzags and tassles!! 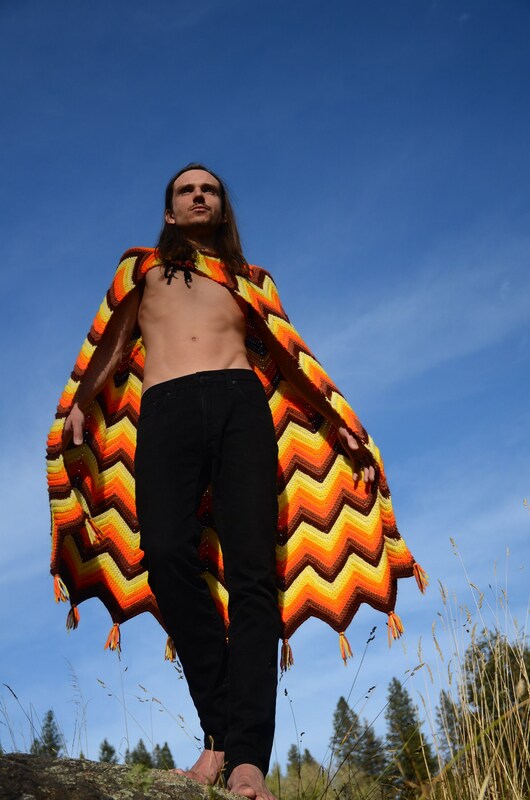 Handmade from acrylic yarn, this cape can be creatively styled to create any number of original looks. 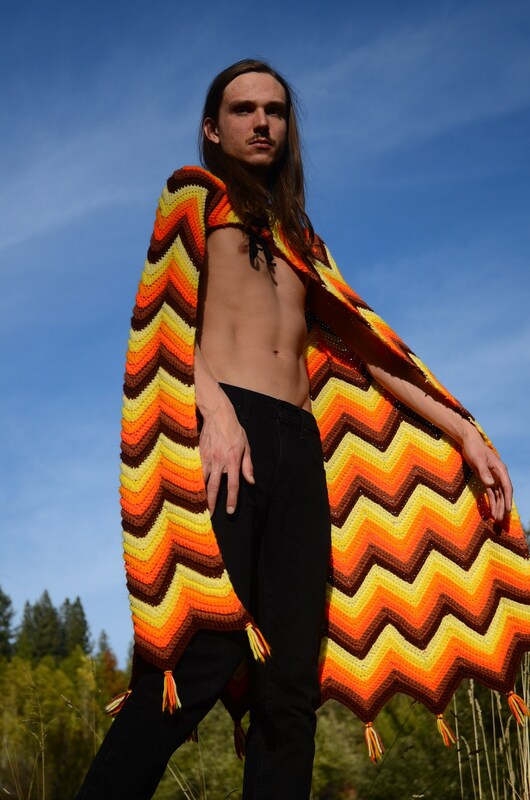 This is a one-size-fits-all cape, with a lace up collar.